Leaves appear opposite along the stem.Dark green,cordate base, deeply serrated pointed leaves with lighter green downy underneath. Leaves are deeply veined. They are covered in rigid stinging hairs which contain an irritating fluid (formic acid). Flowers grow in clusters. 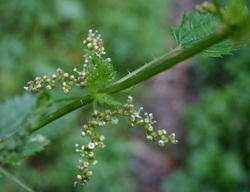 They are small light greenish flowers in axillary clusters which bloom in summer. Fruits are about 50 mm long and contain small nuts about 2mm long. 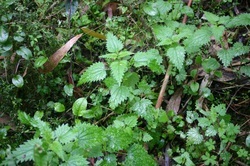 Naturally occurring plants in moist, well drained soil in forested areas. Several insects including the Admiral Butterfly larvae. 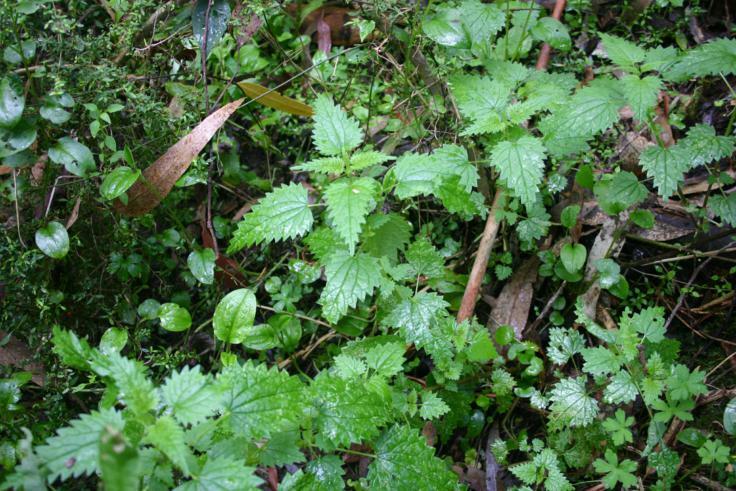 Aborigines used the leaves for medicinal purposes. 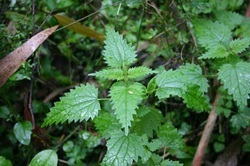 The Urtica dioica is a very similar nettle but it is not native to Australia.